How do you get a Comcheck? Basically there are 3 ways that you can obtain a Comcheck and we will discuss the ins and outs of each. Your first option is to do it yourself. For this option you will need to understand the calculations and most importantly the software. The calculations are probably math you do on an everyday basis. However, searching the plans, compiling the data correctly, and using the software properly takes some time to learn. For this option plan about 10-14 hours per project to create your Comcheck properly. The second option is to have it created by the architect or engineer that is drawing your original set of commercial construction blueprints. They can take the information they have created designing your project and easily modify it to work for your Comcheck. The one thing to consider with this option is that you must be working with a design firm that is familiar with Comcheck. It seems basic that any designers would understand and implement Comcheck reports into their design process. However, you have found your way to this Comcheck Energy Report blog so odds are your plans did not come with the report, which is very common. The final option turns out to be the easiest and lowest cost. You can hire Comcheck.net to create your Comcheck report for you. All you need to do is email us a set of your construction prints along with a jobsite address to comcheck@comcheck.net we will take care of your Comcheck for you and return to you an invoice and overview of your project. This whole process takes less than a day and we are ready and willing to help you with your project any time of day and any day of the week. This process is super simple and smooth and we created it to be the easiest portion of your commercial construction project. At Comcheck.net we find several reasons that you might need a Comcheck Energy report on your commercial construction project and we are going to discuss those here today. The first reason is that the code in your jurisdiction requires one. This is as cut and dry as it gets. You are building a commercial structure in an area that uses the IECC 2009, IECC 2012, or IECC 2015 (possibly even IECC 2018). 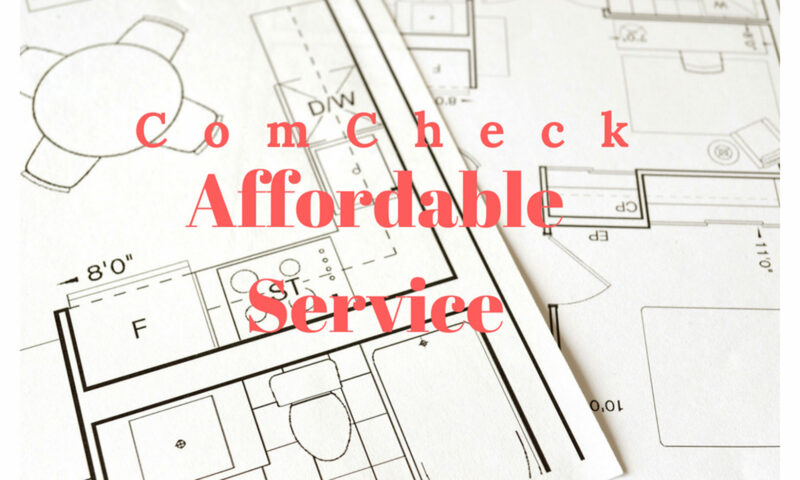 The code requires the use of a Comcheck Energy Audit before you can begin construction. The next reason would be that a particular building department official would like to see one for your project. This can be for a multitude of reasons. They may not understand your project well enough or he might just want to cover himself in the future by having a Comcheck on file with your building permit. The final reason is that you are using a non-conventional product, material, or building supply to build the structure. Many questions from the building inspector come from seeing new products for the first time. If you are using an insulation product, window, or door that is uncommon in your area then odds are that the permitting office may want to see how it stacks up to your climate zone using a Comcheck Energy Report. 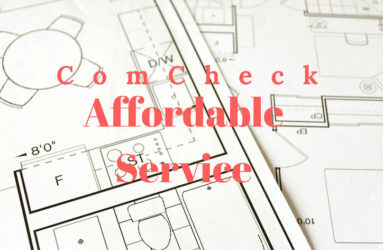 If you are in need of the Comcheck report to obtain your building permit you can email your plans to comcheck@comcheck.net and book your order here. $149 for 3000 sq ft and under, $199 for 3000 sq ft and under. A software package that connects all users of a commercial construction project to the energy side of the equation. You enter insulation details, lighting, site location, and various other details and are given a score based on the materials chosen and how they compare to the climate zone. Can I do the Comcheck myself? If you understand the calculations and the software you can create your own Comcheck. The issue most of our builders, architects, and engineers encounter is that they do not have time to learn a new suite of software to create the report correctly. That is why we invented this low cost service using experts who use the DOE’s Comcheck software every day. We turn 100% of our projects around in 12-24 hours. Simply email your plans to Comcheck@Comcheck.net and book your order here.